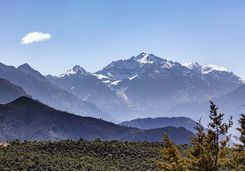 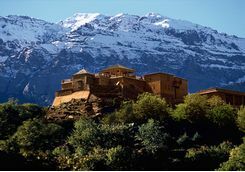 With their snow covered peaks contrasting the rich colours of the lush vegetation and red rocky slopes, Morocco's Atlas Mountains are incredibly picturesque. 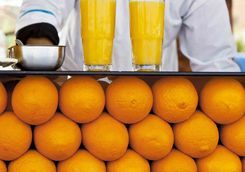 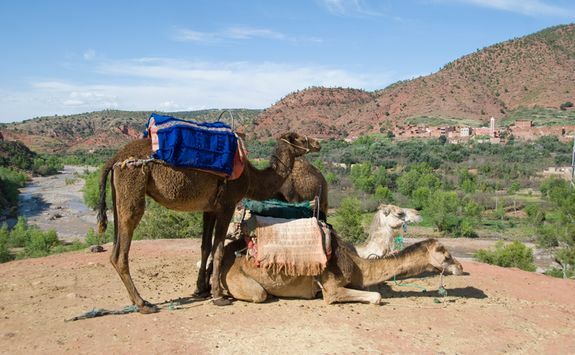 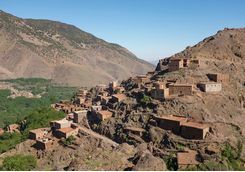 On this nine day trip combine an action packed mountainous adventure with a little bit of shopping in bustling Marrakech too. 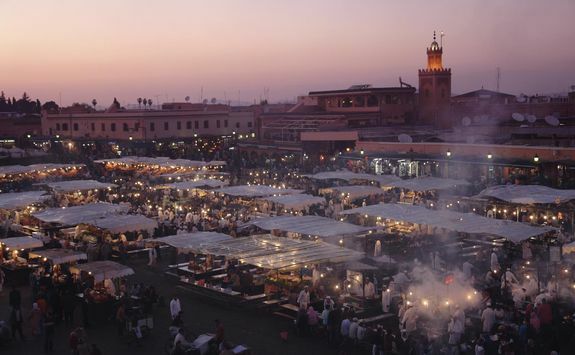 Having left Blighty just a few short hours earlier you'll land this afternoon into Marrakech, where a driver will be waiting to meet you. 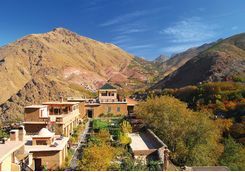 You'll then be whisked into the car and onto your hotel in the centre of the city. 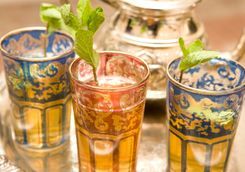 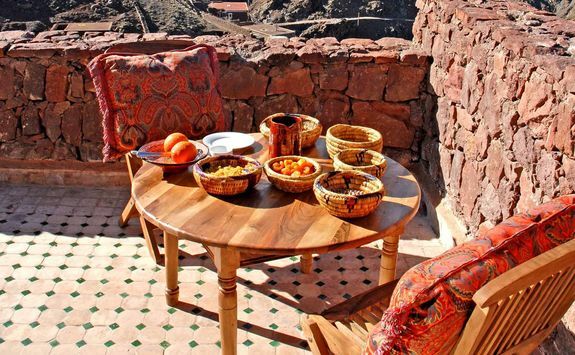 Spend your first night enjoying a traditional tagine and watching the bustling city wind down for the evening from the rooftops. 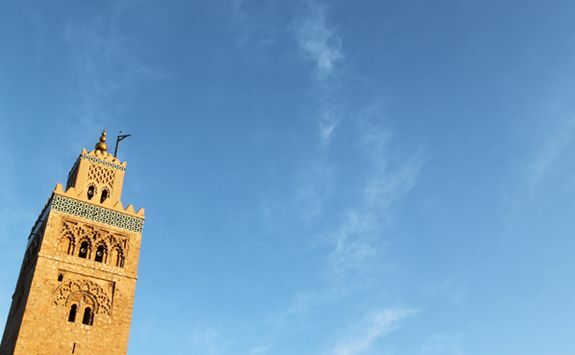 Today is all about getting to grips with the hustle and bustle of Marrakech's infamous medinas and the city's vibrant history. 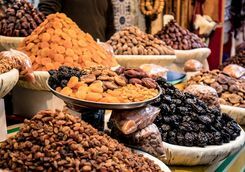 Start at the central Djemaa el-Fna and then find yourself getting lost among alley after alley of spice stalls and local women selling beautiful coloured scarves, trinkets and jewellery. 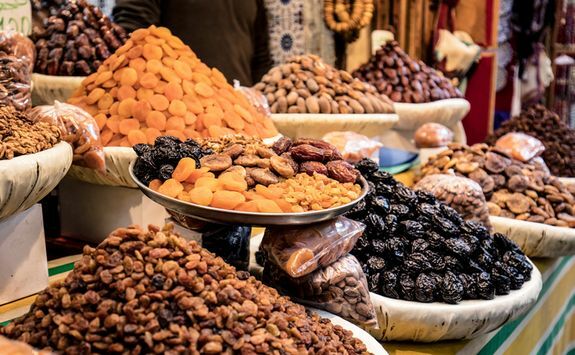 Practice your haggling skills and purchase a few things to take home with you and as you wander, make sure to also stop and take note of the beautifully ornate architecture found all over the city, in doorways, arches and little back streets. 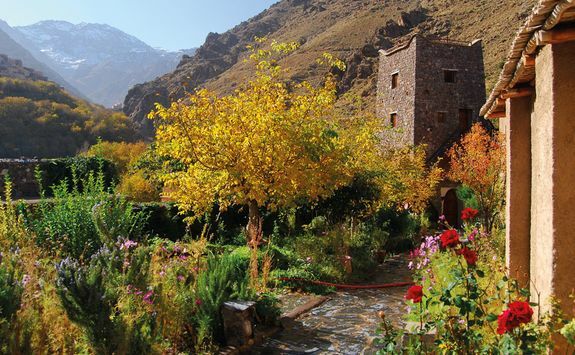 This afternoon, meet your private guide at your hotel for an afternoon of exploration. 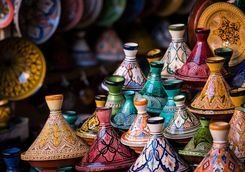 As an old capital of the Kingdom, Morocco is full of history and exquisite traditional architecture and your guide will take you to experience some of these lesser known sites for yourself. 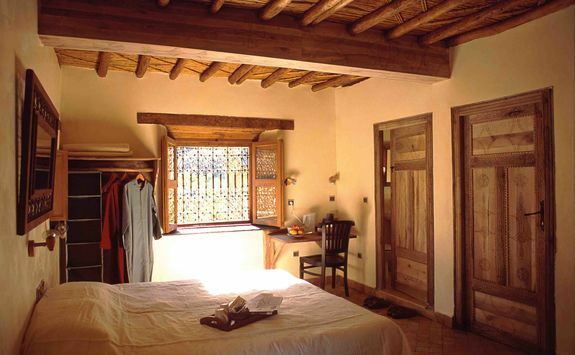 The Jewish quarter houses some of the most important buildings in Marrakech and so the tour is largely based here. 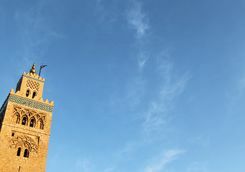 Along the way you'll stop at Koutoubia mosque and minaret, the Saadian Necropolis, El Badi Palace, Bahia Palace and Lezama synagogue, and have plenty of time to admire the artisanal tile work, architectural design and dedicated worship. 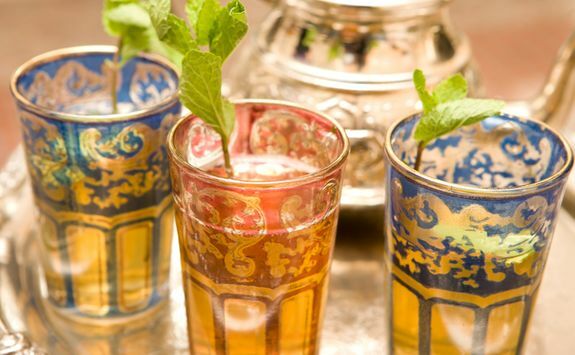 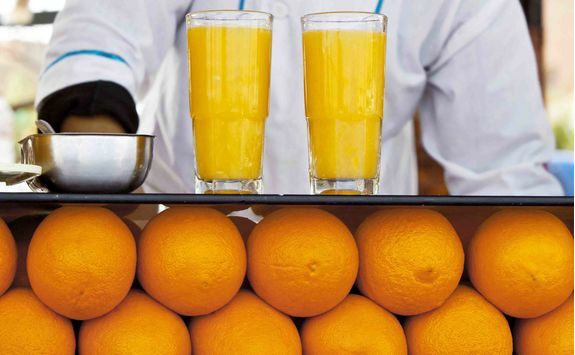 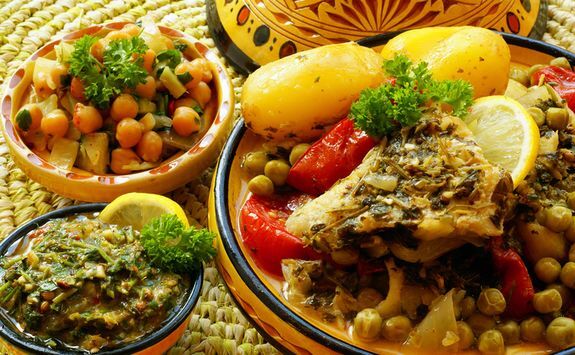 To mix things up during your stay in Marrakech we have today organised for you to enjoy a traditional cookery lesson. 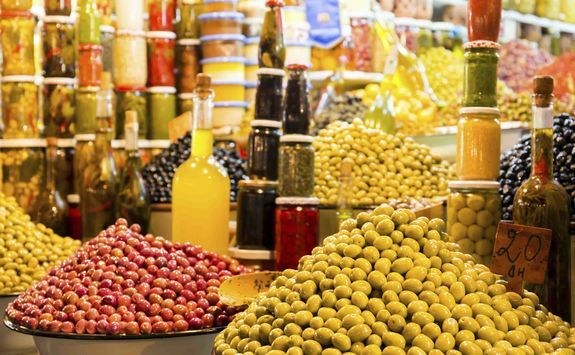 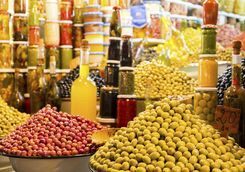 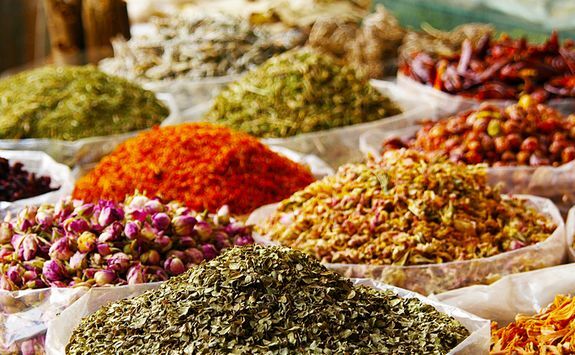 In the company of an expert local chef you will learn all about the various spices found in the medinas and then put your knowledge to good use when you make your very own tagine. 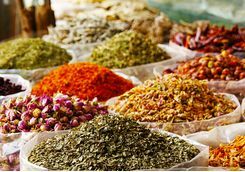 Hopefully, succulent, spicy and expertly seasoned, your lunch will taste all the better when you know what hard work has gone into making it. 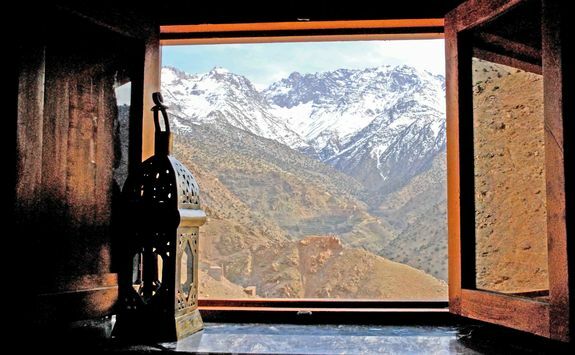 This morning you'll be met at your hotel by a driver who will privately transfer you an hour and a half into the Atlas Mountains. 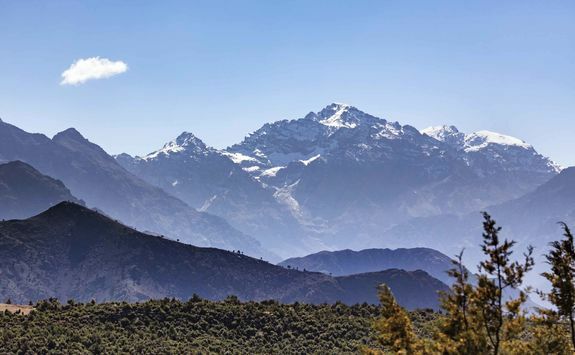 Upon arrival at your luxurious mountain hotel you will meet your personal mountain guide and have the opportunity to discuss your preferences for walks and treks. 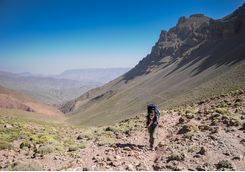 If you like you can even head out on an introductory walk to make sure your legs are stretched and your boots fully worn in. 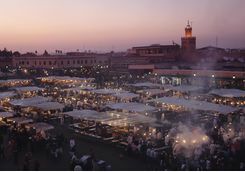 Enjoy dinner back at the hotel and appreciate the stretching silence of the Atlas after the noise of Marrakech. 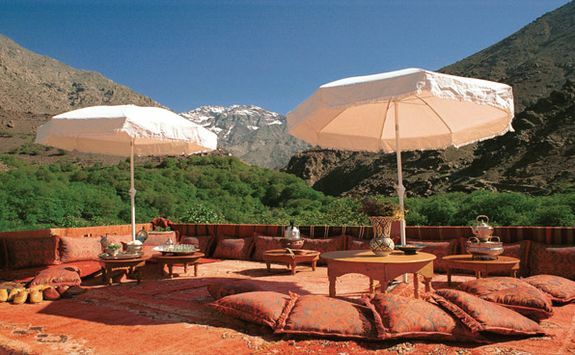 Before you head out on your mountainous adventure tomorrow, today is your chance to relax and enjoy the scenery from the comfort of your sun lounger, mint tea in hand. 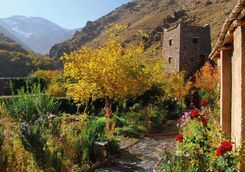 Wander through the hotel gardens, sunbathe on the roof terrace or curl up under the shade of a tree with a good book. 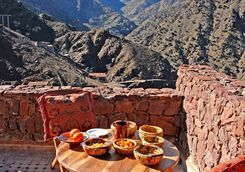 If you're really itching to get walking then there is also the opportunity to do a guided walk with a picnic lunch before you head back to the hotel for dinner. 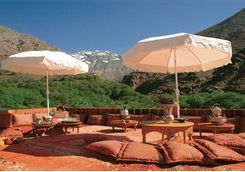 For a unique dining experience, tonight eat a traditional Berber meal on the roof terrace under the stars – just magic. 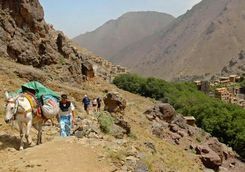 Set off this morning with your guide and a donkey laden with the bags. 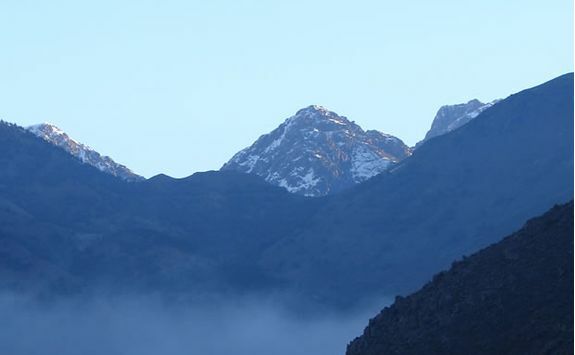 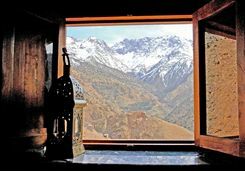 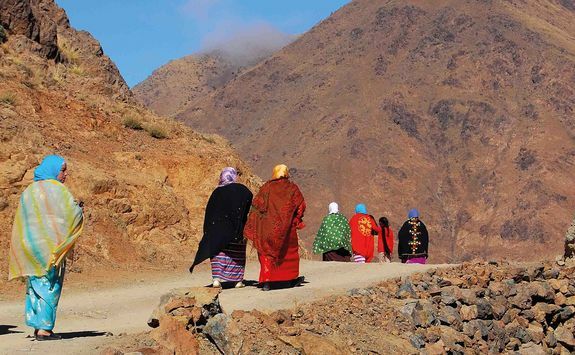 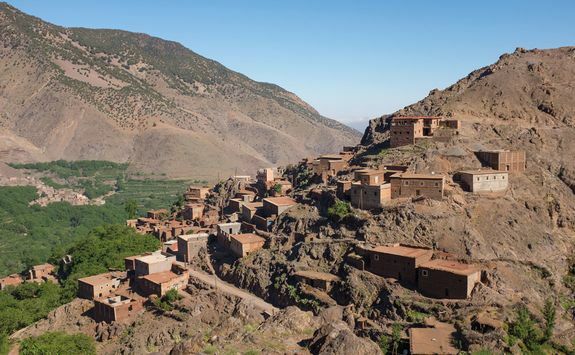 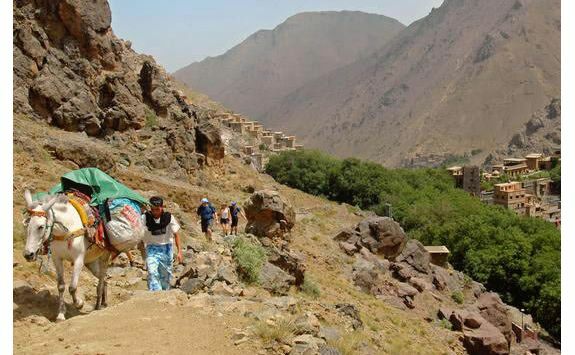 The trek will take you through the beautiful landscapes of the Atlas Mountains so keep your eyes on the views and your cameras ready to snap some epic shots. 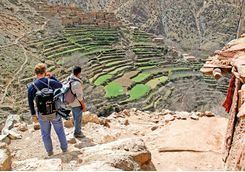 With a picnic lunch on route the trek culminates after around three to four hours in the Azzaden Valley, a beautiful setting barely touched by the modern way of life. 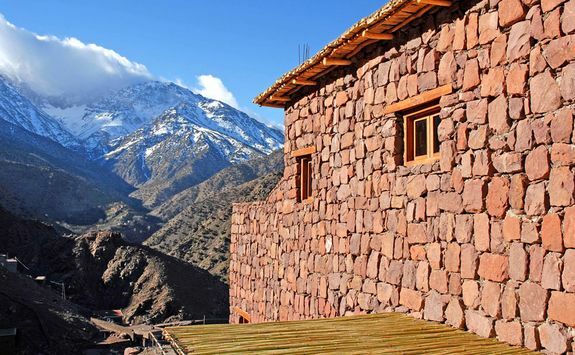 Here you'll find the remote trekking lodge that you'll call home for the night. 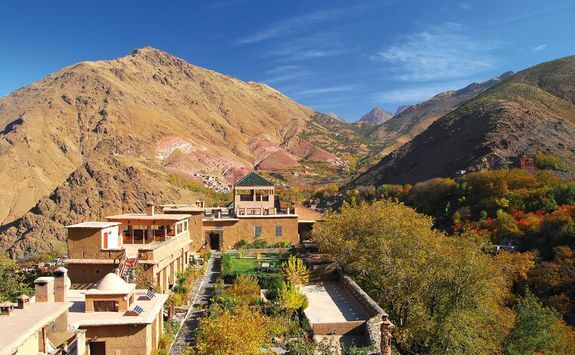 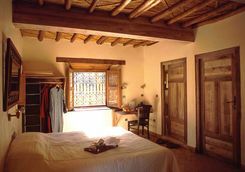 Though it might be remote your accommodation is no less luxurious and there is even a hammam to soak any tired muscles in before a full dinner is served. 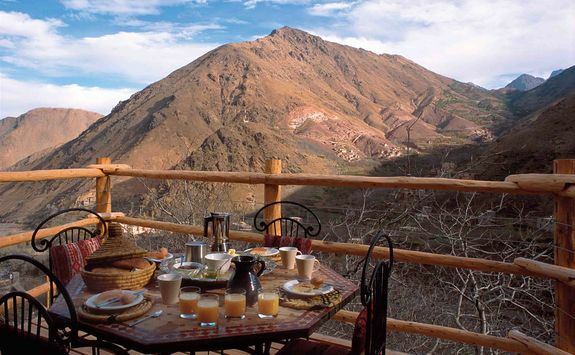 After breakfast, you have the entire day to explore the stunning Azzaden Valley with your personal mountain guide. 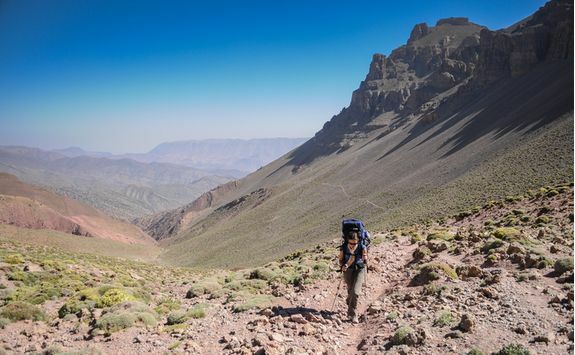 There are several treks of varying lengths to choose from. 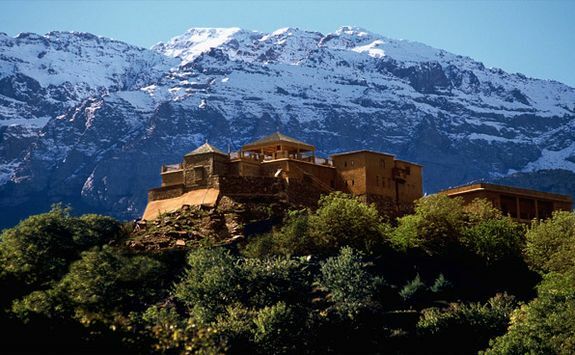 Depending on fitness levels you may choose a moderate walk amongst the villages of the Azzaden Valley or a taxing seven hour circular route passing the Lepiney refuge hut and the Tizi n'Tzikert col, at over 9000 ft. Other options of a similar length include the slightly easier and very beautiful seven hour circular walk passing the cols Tizi n'Teouti at 8038 ft and the Tizi n'Tougdalt at 8858 ft. 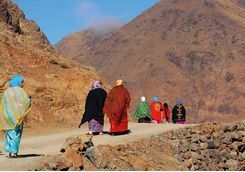 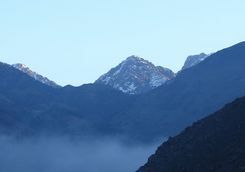 Whichever route you choose, since your guide is totally private, the trek can be adapted to suit your exact preferences. 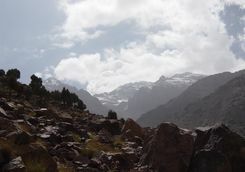 A picnic lunch will be served on route - the perfect opportunity to stop and let the beauty of the area really sink in. 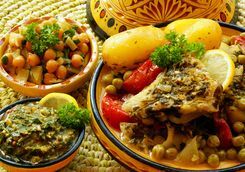 After you get back to the lodge and enjoy another dip in the hammam, dinner will be ready and waiting for you. 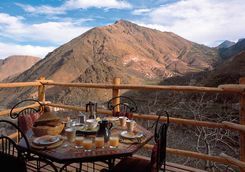 Today you say goodbye to your mountain hideaway and, after breakfast, begin the trek back to your original mountain hotel. 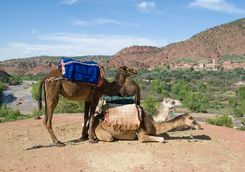 You can take the same route as on the way or ask your guide to design a new one based on what he has learnt about your preferences over the last few days. 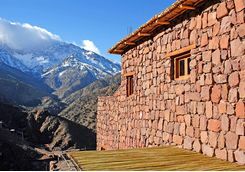 Back at the hotel you will be reunited with the rest of your clothes and can enjoy a final dinner under the stars on the roof terrace, complete with a celebratory cheers for all the trekking you've managed over the last three days. 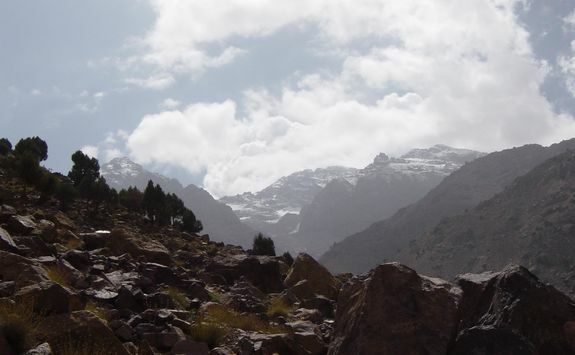 Sadly, today marks your last day in the Moroccan mountains. 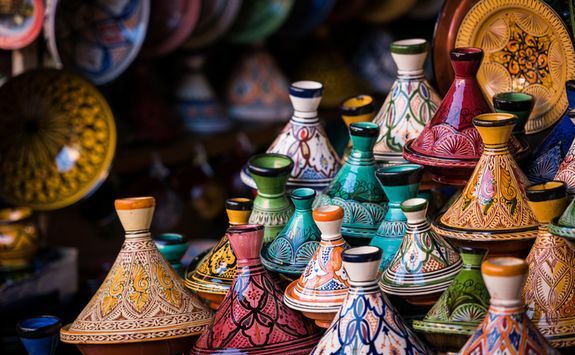 A driver will be waiting to transfer you directly to Marrakech Menara Airport where you will board a short flight, finding yourself back on British soil in only a matter of hours.